24hr library if u get locked out of your room! Dont go to the burger van, Pizza King's better. the work is no harder. have discovered Yo Pizza, has replaced Pizza King. Thanks for that Ben, I woill pass it on to my niece who is going to de Montfort next year. She has just gone to South Africa for 3 months so will ask her what she needs when she comes back. She will be doing Drama Studies. I am a graduate of Demontfort for whole year now-any questions fire away! 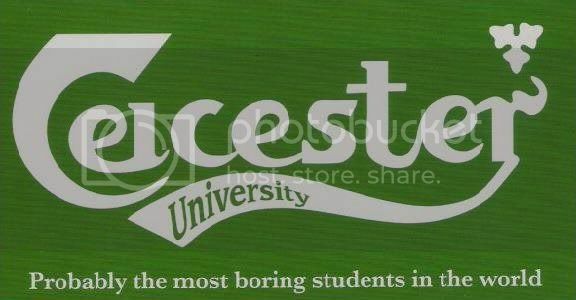 Stop stealing the Exeter Uni logo!